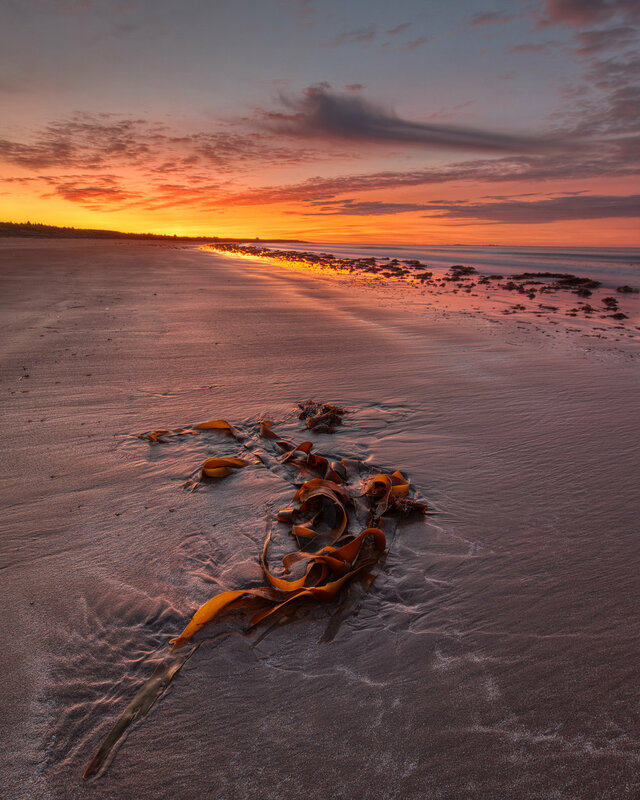 Last Saturday I headed out to Lawrencetown Beach for sunset. It looked like the clouds were going to co-operate. 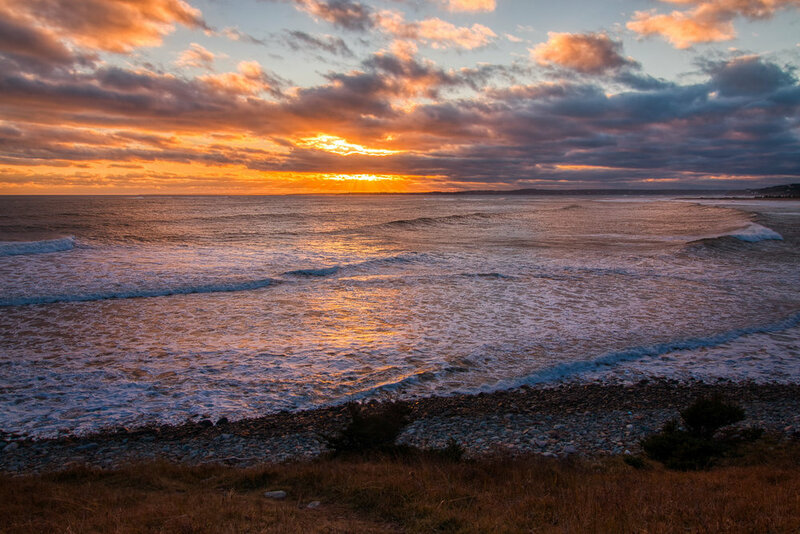 I ended up stopping just before Lawrencetown Beach as the sunset is in the other direction this time of year and worked my way up the cliffs there. This light happened just before sunset and I grabbed this shot with the “Jesus rays” as I was working on my composition for sunset. Luckily I did this as the final sunset was a bit of a bust. This was just down the field from Kannon Beach Surf Shop. 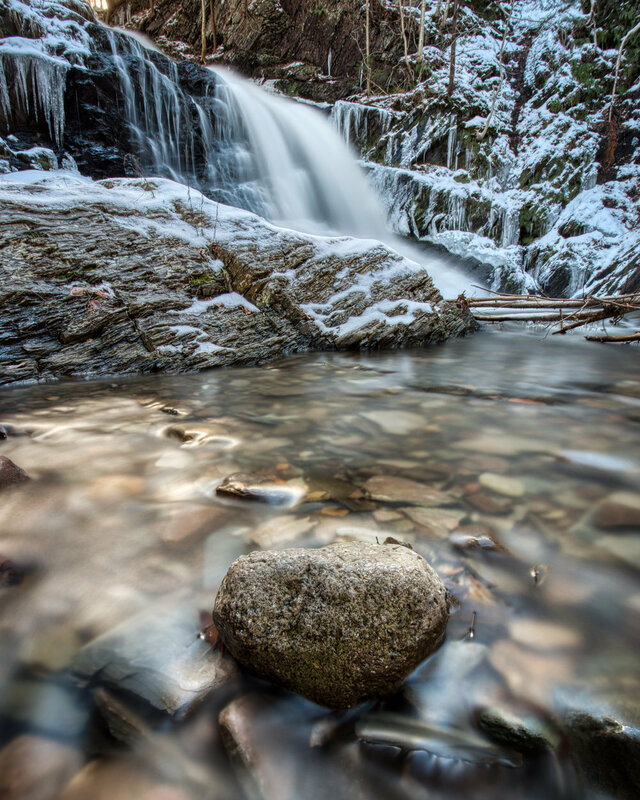 I had a hankering for some water falls. So, my friend Jeff and I made plans to go to three waterfalls towards the valley. 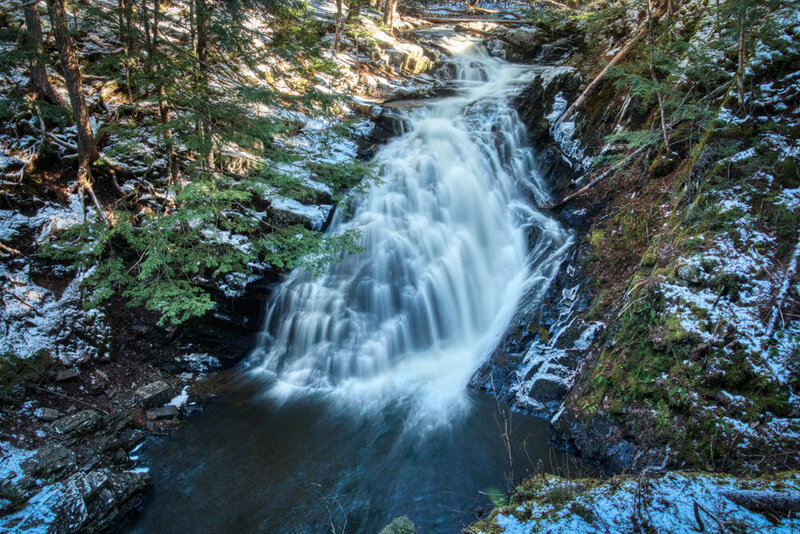 The first up was Dawson Brook Falls which is just off the St. Croix exit when heading from Halifax towards the valley. You can find instructions here - https://nswaterfalls.blogspot.com/2012/07/dawson-brook-falls-ellershouse-hants.html Though you have to be careful as they are a bit off. The main thing to take away is that you need to turn right (east) on highway one when leaving the 101. I have done this falls twice now and just park on the access road instead of turning down the small trail. I think you could drive down that trail but it’s a little sketchy and the ~10 mins of hiking is good exercise. You’ll first come to a Y in the path and there you should stay left. After that the next path on your right will lead you right to the falls. The falls are below you from here and theres really only one good angle to get a shot from without getting dangerous. There are cliffs here that you probably could climb down if you were adventurous and they weren’t coated in snow and ice but I wouldn’t recommend it. If you go down river from the main falls you will find a small stream that you can easily cross and it has a couple of small but nice waterfalls on it as well. With all the wind we were having this weekend I decided to head out to Lawrencetown Beach on Sunday morning and see how big the waves were. They weren’t as crazy big as I have seen in the past but there were spraying pretty good with all the wind. I decided to go for a close up shot of the waves instead of something wide. With a rain storm coming I decided to head out to Rainbow Haven Beach for sunrise. 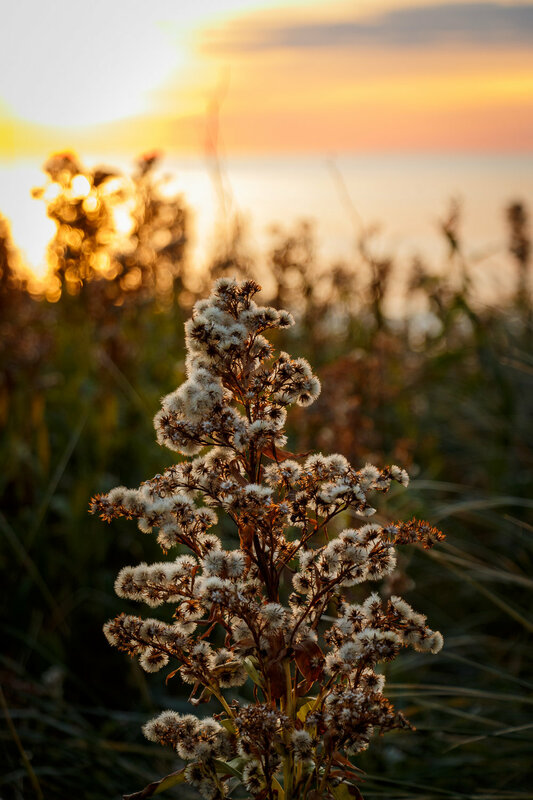 With a storm coming you always have the chance of a great sunrise/set. Or you might get nothing but clouds. This morning I got nothing but clouds. So, I went with it and tried for a gloomy feel. With the fall colors coming to a close and the fact that I got a new tripod to replace my 15+ year old one yesterday I decided I needed to get out today. After parking we headed in which was a fairly easy uphill walk along a dirt road. Once you get close to the falls just after finishing the uphills and as the road goes right there are more no trespassing signs. 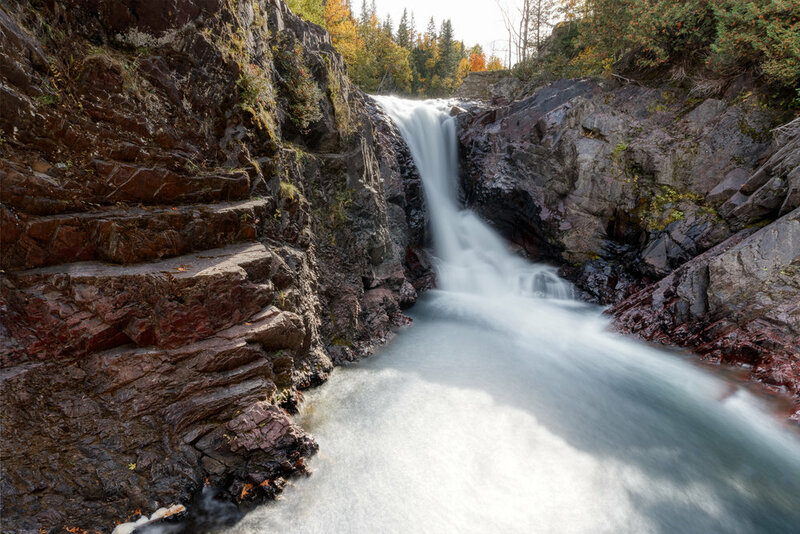 Falls are located here - https://www.google.ca/maps/dir//44.9494435,-64.1071413/@44.9501566,-64.1092556,631m/data=!3m1!1e3!4m2!4m1!3e0 There was a very well beat down path to the falls which was only about 100ft. In the hour we were there we saw about a dozen other people so wasn’t too worried about trespassing. 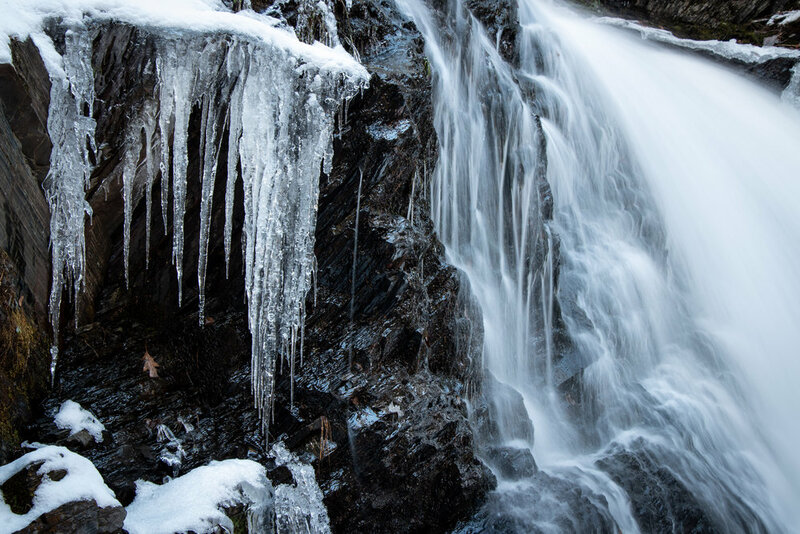 There were lots of opportunities for photos of the main falls and lower and upper falls. I only did the main falls today so will definitely be back. And here is my favorite photo of the day! And a couple of more that I liked. 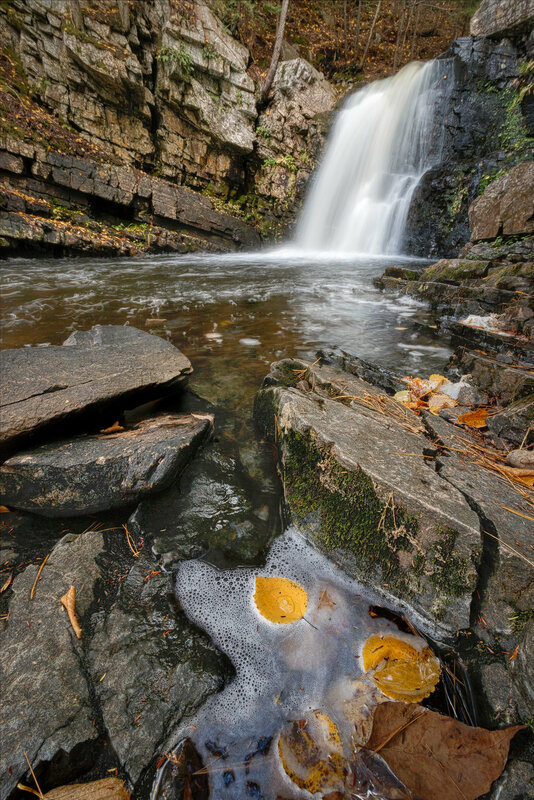 Ettinger Falls with Leaf in Pool. 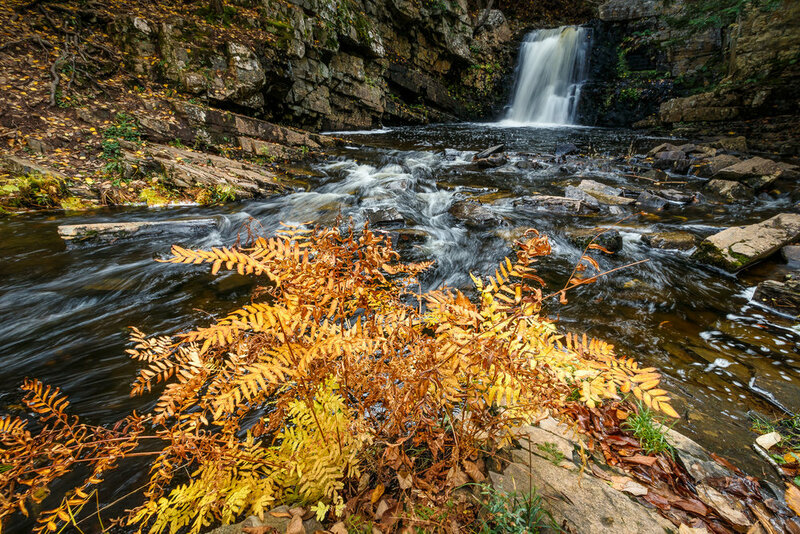 Ettinger Falls with Fall Plant. We spent the weekend in Bathurst, NB for Thanksgiving this weekend. Of course, I decided to try and find a waterfall that I had hear of but never made it to. 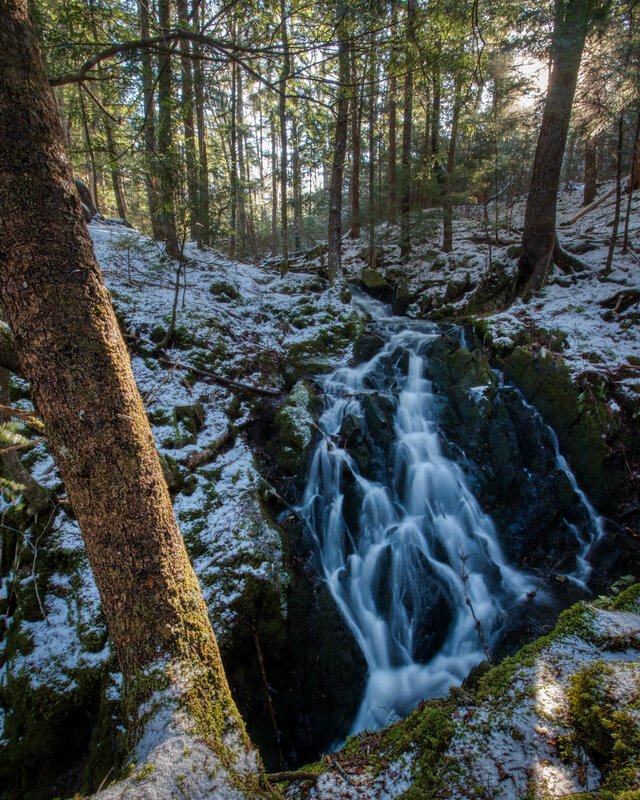 Tetagouche Falls is a waterfall that is located just out Bathurst. Arriving I was a bit surprised that it was a real hike down to the river then a 8-10 ft climb assisted by a rope before you could see the actual falls. Definitely not for the faint of heart. At the bottom I came across this contraption, if you know what it is, please leave a comment and let me know. On the way back from Tetagouche falls we stopped at Bass River which is a river we have driven by multiple times and I always noticed the walking bridge but never got a chance to photograph. This time I was able to get down under the bridge of the road and snap this shot that really shows off the fall colors and the nice walking bridge.